Star Mountain Capital & Star Mountain Charitable Foundation hosted a Private VIP Reception honoring the Terry Fox Run for Cancer Research (New York City) on Tuesday, July 18th at the Star Mountain offices in Midtown Manhattan. The annual run is dedicated to fundraising for the Memorial Sloan Kettering Cancer Center (MSKCC) in the name of Terry Fox, and is organized by the Canadian Association of New York. 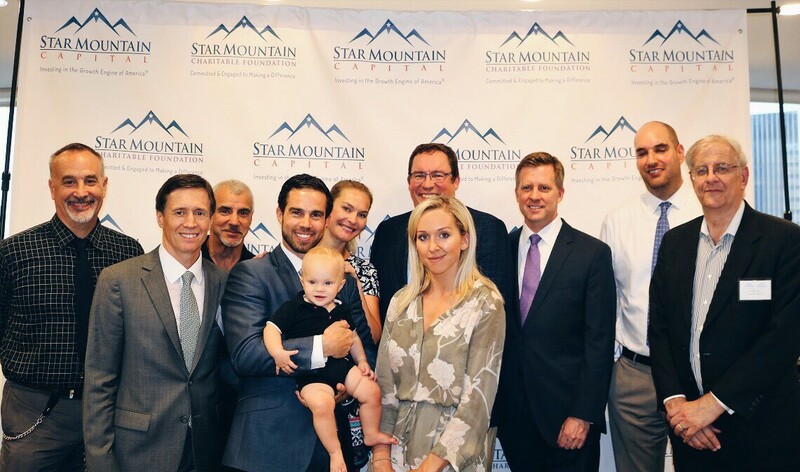 Last year, Star Mountain was the #1 fundraising team, one of our many efforts in helping people impacted by cancer. At the reception, attendees included top donors and supporters for cancer awareness and research such as, Ken Ottenbreit, the Founder & Chairman of the annual Terry Fox Run for Cancer Research (New York City). Star Mountain also welcomed guest speakersr from MSKCC and CancerCare, including Dr. Renier J. Brentjens, MD, PhD, Medical Oncologist, Director of Cellular Therapeutics & Researcher at MSKCC, who discussed the latest updates in cancer research as well as providing inspiring stories about how cancer has impacted their lives, while providing insight on how we can all contribute to helping others with the disease. We would like to thank everyone for attending our event and engaging in the fight against cancer. It is inspiring to see such dedication and optimism in our local community. To further help the cause for finding a cure, we encourage everyone to join our team or donate today.